Who doesn’t love art? Whether it’s musically-inclined, performance-based, visual in nature, or literarily expressed, art inspires those who experience it. At Young Audiences of Oregon and Southwest Washington, art education represents so much more than just what they do. The organization strives to be an integral creative force in their community, dedicated to bringing people together. Charged with overseeing the art education interests of between 70,000 and 80,000 kids per year, attending about 200 different schools, Young Audiences actively leverages the creative resources in their community to benefit young students. Since it’s founding in 1958, Young Audiences has had to manage a fairly large database, including but not limited to: donor contributions, contracts, meeting logistics, etc. As a small non-profit organization, resources have always been scarce. So for a while they had to make due with an outdated system, restrained by limited capabilities. However, as their programs continued to expand over the years, and the overall business grew, a more scalable solution quickly became necessary. After conducting a comprehensive search through the marketplace, Young Audiences decided on Salesforce. Salesforce helped Young Audiences integrate and combine all their sources of data into one central hub. It also afforded the company’s team leaders more control over their own areas of data maintenance, which lent to an increase in overall management efficiency. After implementing Salesforce, Young Audiences had a well-organized and effectively managed database. Unfortunately, that wasn’t their only challenge. Operating under the motto, “always try to do more with less,” Young Audiences often employs the help of their entire team to supplement the search for new collaboration opportunities. Tracking each team member’s individual interactions with prospects presented a clear obstacle. Unbeknownst to one another, one team member may have scheduled a visit at a school on Monday, and a different team member may have scheduled a similar meeting, at that same school, on Thursday. As such, the team needed an easy way to coordinate their schedules so they could effectively turn multiple meetings into one, freeing up valuable time to address other important tasks. That’s where MapAnything came in. Young Audiences has been able to save time and money by moving away from cumbersome tracking models and confusing black box solutions. With MapAnything, no experts are needed. Everyone can access, update, and review the same information through intuitive, self-service portals. All Young Audience employees were able to get on the same page with the help of MapAnything. Not only are team members now able to ensure no overlap of visits occur, but they are also able to optimize the visits they make in a day, constructing their schedule based on prospects that are located close to one another. Young Audiences was able to accelerate fundraising efforts by studying visual representations of interactions. With MapAnything’s visual representations, Young Audience managers can instantly uncover epicenters of successful programs, then secure more funding from surrounding businesses and government entities. They were able to communicate success visually for maximum impact. 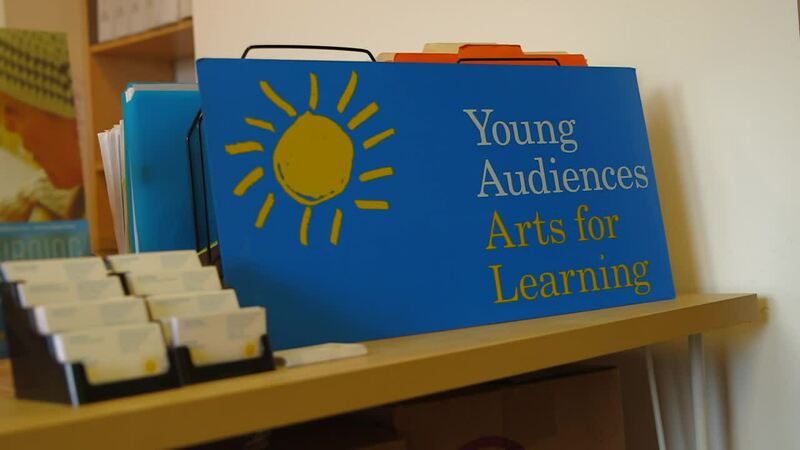 As an arts organization, Young Audiences’ staff and partner network is comprised of many visual thinkers. Rather than rely on tables or lists of words and numbers to communicate a project’s success, they use aesthetically appealing maps and diagrams in presentations to board members and donors. “MapAnything’s visuals tell stories in a way that holds more emotional value. To see information on a map and not in a list or table really helps a message to sink in, in a different way. There’s certainly practical value to that, and there’s also a storytelling and emotional value that I think people really respond to,” Clarke added.